Restaurant industry has undergone a dramatic change in the past few years. The market has become increasingly competitive and complex and restaurants have to keep the costs low, achieve greater client advocacy, loyalty and retention in order to have better financial outcomes. At ITSPL we pride ourselves in providing a user-friendly and innovative business solution where our clients can measure features and functionality versus price. 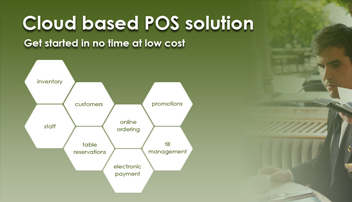 Much more than just a replacement for a cash register or till it is an effective tool to optimise restaurant or bar management.